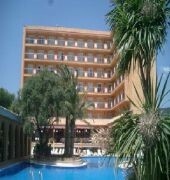 The Hotenco Luna Park Hotel is situated between the towns of Malgrat de Mar and Santa Susana, close to the commercial centre and just 250 m from the beach. This is a terrific hotel for couples and families with 130 twin guestrooms with modern amenities and a house restaurant presided over by Noelia, an energetic dreamer always on the lookout for the best recipes to satisfy her guests. Guests to the Luna Park Hotel can enjoy daily classes of tai chi or yoga and are close to a wide variety of water sports and several high quality and challenging golf courses. Gerona Airport is 35 km from the Luna Park Hotel.Local Tips: Malgrat de Mar is a perfect holiday destination on the southern end of the Costa Brava is a large vibrant resort with good beaches and a large number of bars and clubs offering entertainment into the early hours of the morning.